Andrew Ryan Henke is a fantasy author, video game designer, musician, and entrepreneur. The Lumin Prophecies is an epic young-adult fantasy trilogy that is currently in production. Book 1:”The Year of the Lumin” is available now. Book 2: “Amendments” was released on April 27, 2016. Book 3: “Nearing Perihelion” is expected to be released mid 2017. Andrew Henke grew up in Cincinnati Ohio, has one brother, very supportive parents, and the most fun, wonderful wife on the planet. 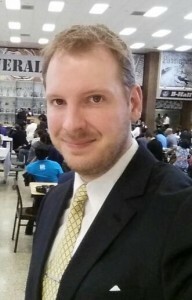 Andrew currently lives in Atlanta, Georgia. Some of Andrew’s inspirations for The Lumin Prophecies are the Mistborn trilogy by Brandon Sanderson, The Lord of the Rings and The Hobbit by J. R. R. Tolkien, The Wheel of Time series by Robert Jordan and Brandon Sanderson, and The Lion, The Witch, and the Wardrobe by C. S. Lewis.